For people in adverse financial situations, a bankruptcy filing should always be the last resort. A record of bankruptcy stays on your credit report for ten years, affecting your financial credibility for quite some time. If you are considering bankruptcy, learn first if this option is right for you including how to file bankruptcy and make an informed decision. Bankruptcy is a legal proceeding that clears certain debt of an individual or business organization that is no longer capable of meeting financial obligations. For individuals, excluding farmers, the two types of bankruptcy that can be considered are chapter 7, in which the debtor’s assets are liquidated in order to repay credit and chapter 13, in which the debtor is given a fixed period of time to reorganize and repay his or her debt. The new bankruptcy law requires individuals seeking to file under chapter 7 to undergo a means test, which will determine the person’s financial capability to repay debt. Debtors who file under Chapter 13 should have a regular source of income to be eligible. Find out the specific conditions and requirements under each chapter so you can decide what is the most suitable in your situation. At this point, you may want to consider getting a lawyer who can provide assistance and knowledge on how to file bankruptcy. When you draft and file a petition for bankruptcy, you must provide the bankruptcy court detailed information about your current income, expenses, assets and liabilities. Be accurate, thorough and completely honest when answering the forms to avoid delays or other serious consequences such as imprisonment. 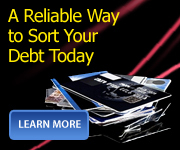 Be sure to include in the listing of debt all your existing debts. Official bankruptcy forms must be used in filing and they are available online or in stores selling legal stationery. Some forms even have self-help information on how to file bankruptcy. The cost of filing a chapter 7 or chapter 13 bankruptcy petitions is more or less $200. Lawyer’s fees may range from $600 to $1200 depending on the type of bankruptcy. After you or your lawyer has filed your petition, the next stage is called the “341 meeting”, where you will meet with the trustee and your creditors. Under oath, you will be asked simple questions to verify the information you have provided in your petition such as your assets and liabilities. After bankruptcy filing, your creditors may not continue to collect from you. You should be relieved from wage garnishment, eviction or foreclosure notices. There are certainly a lot to consider on how to file bankruptcy but, most importantly, you have to consider if it’s the right choice and if you are willing to accept its consequences. Getting credit again after bankruptcy is a concern that seems too complex but it is in its real sense simple. Yes. One can have another chance at re-establishing his or her credit. This is through the process of credit repair after bankruptcy. In order to obtain this, one must develop great patience because re – establishing one’s credit do take time. In credit repair after bankruptcy credit worthiness is important. Credit worthiness is usually measured by one’s credit history, which represents one’s financial reputation among creditors. Failing to pay off one’s credit card debt, not paying off the minimum monthly amount, missing a payment or not making one’s payments on time can lead one person on a path to damaged credit So if one is planning to do credit repair after bankruptcy it is important that his or her credit shows worthiness. Satisfying all the demands of a bankruptcy case is obviously the first intelligent step taken to credit repair after bankruptcy. The next step one will have to take is repairing one’s credit report. A credit report usually includes the approximate amounts and locations of a person’s bank accounts, charge accounts, loans, and other debts, bill-paying habits, defaults, bankruptcies, foreclosures, marital status, occupation, income and lawsuits. Two or three years after filing for bankruptcy, there should be a possibility that one will want to start rebuilding good credit by applying for secured credit cards, preferably cards without annual fees attached to them. One could also do a research on the internet to see what others have done in similar situations. In doing credit repair after bankruptcy, it is germane to start small. It is unrealistic to expect anyone to hand a person doing a credit repair after bankruptcy a $10,000 credit limit overnight. It will never happen. One should make monthly payments in the full amount. A person’s payment transactions will determine how successful his or her new credit report will be. One must never be late with payments for it could be another road to bad credit history. In doing credit repair after bankruptcy, the stronger is a person’s current financial condition, the better. It is a must to convince lenders that one has left the bankruptcy behind. One must show that he or she is able to manage money matters after the bankruptcy in such an efficient way. Prompt payments made in a full amount are very impressive to a credit lender. However, if one is denied of a major credit card, he or she should not get distraught, and instead, he should try applying for a department store’s line of credit or a card issued by an oil company. These are small steps to start rebuilding a credit future. Are New Bankruptcy Laws Going To Help You? There are 2 sides to the changes in bankruptcy rules. It will be a lot harder to file bankruptcy under chapter 7 and get a totally clean slate. For businesses, relying on issuing credit, the new personal bankruptcy law is doing great, reducing personal bankruptcy claims from the thousands to double digits. (In the short run). However, lawyers working with the actual people filing for bankruptcy say that the new law is seriously flawed because it puts more financial burdens on already broke clients and reduces potential debt repayment to small businesses. And then of course you have the credit card companies charging high interest rates which in quite a few cases caused the bankruptcy in the first place. According to some financial specialists, much of the debt people accumulate is a result of keeping up with the Joneses and not thinking ahead. For 80% of clients counseled each month, the debt is credit card related and averages $32,000 - a result of six to eight cards. Consumer credit organizations say the new law provides debt-reducing strategies for those considering filing bankruptcy and curbs abuse. Under the new law it has become a requirement that the person filing bankruptcy obtains credit counseling both before and after filing for which that person will be charged.. So now the consumer would then know the advantages and disadvantages of declaring bankruptcy. Yet it seems merely another expense for an already financially stressed individual. People filing bankruptcy in general are not overspenders, but merely faced with temporary financial disasters such as medical costs, layoffs, a divorce, gambling debts or other crises. Before you can file bankruptcy,you are now required to complete credit counseling with an agency approved by the U.S. Trustees office. 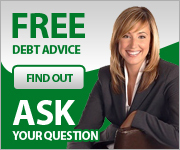 This credit counseling is designed to help you determine whether or not bankruptcy is appropriate. Once you complete your bankruptcy, the law requires you to attend another credit counseling session. These are new requirements, before this law was passed the law did not require a person to go through counseling either before or after the filing of bankruptcy. Second, under the old law, a person could decide to file under Chapter 7 or Chapter 13. Under the new law, the court will look at your monthly income and apply a means test relating to the state in which you live. If your income is less than or equal to the medium income then you will be allowed to file Chapter 7 which in effect will give you a clean slate. This medium income can vary from $28,000 in Missouri to $56,000 in Alaska. If your income is greater, you may be forced to file Chapter 13 unless you can demonstrate you do not have enough disposable income. Under Chapter 13 you will not get a clean slate but will have to make payments on your debts. Also, your attorney now has to personally certify that your bankruptcy filing is accurate. This means more work for the attorney, with higher legal fees. May lose assets, including house and car (If the house is worth more than a certain amount). If you analyze credit card expenses for most people you’ll see that they often include medical bills and day-to-day expenses for the elderly or those earning low or fixed incomes. Records show that 50% of credit card holders do not pay their full credit card bills every month. 33% of the population can’t afford medical insurance so have to charge their prescription drugs. With the recent Medicaid cuts and rigid bankruptcy legislation who knows what is going to happen to these people. There are some who say consumers are abusing creditors. The irony is that credit card companies are begging for customers and offering large amounts of unsecured credit, yet at the same time, lobbying for stricter debt controls.